Robo-Advisors…should you or should you not? Today, I hope to shed some light on this topic to help you make the decision that’s best for you. As you may already be aware, Robo-Advisors have become more popular lately due to the low cost to investors. These programs are built on platforms with algorithms designed to advise the investor on what funds they should be investing in. The program asks the investor pre-programed questions and based on those answers determines the recommended portfolio. Since a computer is doing the work,opposed to an actual human, naturally the cost will be lower. However, when deciding if this approach is right for you, it is important to research all the different companies in terms of fees and services offered. Even though the cost may be lower, fees vary from company to company. Each company may have a different method they use when building their algorithms to determine investment choices. The Robo-Advisor firm will share their method with you which you can generally find on their company website. It is important to understand this methodology to make sure it is in line with your own philosophy and objectives when it comes to investing. Another critical component to consider is, what family of funds they are choosing from? Are they just sticking to a few fund families? The greater the diversity of fund families they have to choose from the better it will be for the investor. Reason being, just because one fund family has a great growth fund does not mean that same fund family will also have the best international, bond, or even value fund as well. So the more fund family offerings they have available, the better the chance an investor has of getting closer to a“best of breed” situation. There are thousands of exchange traded funds available to investors so, you want to make sure you have the absolute best available not just the best within a particular family? This is why it is so important for investors to compare the pool of funds the robot-advisor companies have to choose from. To simplify, let’s review.What are some of the basic considerations you want to examine if you are considering using a robo-advisor for your investments? First, as with anything, you will want to compare the firm in terms of service and reputation. With online surveys and ratings readily available, it is easy to do this type of research by reading what other people are saying about their experiences with the particular firms you are considering. Take the time to understand the method behind the algorithms their programs is built upon. Which method makes the most sense to you? How many fund families are they working with? The user-friendly platform is very important as well. Explore the various services available and compare the quality and usefulness of those services and tools as compared to competing websites. What is the quality of their customer service and is their contact information readily available? Are their representatives knowledgeable? For many customers today, an important concern when contacting customer service is whether you are speaking with a representative in the states vs. overseas. Now for the million dollar question! Should you use a Robo-Advisor or a Human? In order to answer this question accurately, it is important to understand that just as there are different types of Robo-Advisor programs, there are also many different types of Human Advisors. Some advisors only advise their clients regarding investments and help manage their portfolios. So,in comparing a human to a computer, a complete comparison must be done to determine the overall track record and performance over the long haul. There is plenty of evidence that will indicate how human advisors aren’t always able to beat the indexes, so with this in mind, are you are better off just investing in an index? If this is the case, then you may be better off investing in an index like S&P 500. If this is the route you take, you can do this on your own without a robo-advisor and save yourself, even more, fees. However, most are looking for more diversification than that. Since we are comparing, let’s take it a step further and discuss the human advisor whose focus is on a more holistic plan than one who simply chooses your investments for you. The big argument for using a robo-advisor is fewer fees. In life, most of the time, you get what you pay for. For some individuals, they are seeking an advisor that can help them with more than just investments. This is where a holistic planner is key. The holistic planner is going to get to know you, your family and life concern on a more personal level. They will closely focus on your goals and objectives now and into the future. They will be equipped to assist you with not only your investments, but also with your taxes, insurance, special family needs, income planning, retirement planning, and just about any financial concern you may have. In my experience, the biggest concern that many of my people have is that they have one person managing their investments,another handling their trust and will,another preparing their taxes and yet another advising on their insurance needs. With all of this advice, most don’t even have anyone advising them as to how they can maximize their pension and social security benefits. The challenge they have here is that none of these professionals are communicating to each other and therefore things fall through the cracks and their financial planning and strategy are not as efficient as it could be, as one hand does not know what the other hand is doing. In conclusion and to summarize some of what we have already discussed, here are some final considerations that will help determine what road you would benefit from. What would the benefit of saving 1% on fees be by using a robo-advisor if you are losing a whopping 15 to 20 percent in taxes? Or, let’s say your retirement plan is not arranged properly and you are losing 20% in additional potential income throughout your retirement because your pension and social security planning was not handled properly. Then, there are families who have children with disabilities. A plan must be put in place to oversee and ensure the proper care of this child in the event something should happen to the current caregiver. The list goes on and on. So when it comes to deciding between Robo or Human advisor, it is important to consider your fees and what you are getting in return for those fees. We must be careful not to be penny wise and pound foolish. Most of us are not experts in all things related to investing and finances and this is the reason it is best to seek out and hire individuals to handle those things we are unable to, don’t have the appropriate knowledge of or simply can’t or don’t have the desire to manage. A holistic planner will work to help you become and remain financially fit, much like a coach or trainer will work with you to improve your physical fitness and well-being. In addition, a holistic planner will quarterback all the aspects of your financial plan. They will help you to put in place and maintain a plan over the years and ensure that you are on the right track as well as proactively help to adjust as life, the economy, and circumstances change. Changes in life, the economy or any other real life occurrence, would be better managed by a Human Advisor who will have the ability to proactively advise you when a new law comes into effect or tax changes occur where they can make adjustments that will benefit you. Unfortunately, an algorithm won’t call you up and tell you there is a new tax law I feel you can take advantage of why do you come in so we can talk about it. A human Advisor can help you take advantage of quick decisions based on sudden opportunities because they know you and your situation on a personal level. So do your research to determine what will be the best fit for your base on the big picture, not just fees alone. About the Author: Rick Rivera is a partner at Safeguard Investment Advisory Group (www.safeguardinvestment.com) and has more than two decades of experience in the financial industry providing guidance to those planning for retirement. He is an investment advisor representative holding a series 65 license, as well as Life-Only and Accident and Health licenses in California. I’ve a very satisfied Betterment customer. It may not be for everyone, but I certainly recommend everyone at least take a look at this option. Total costs run around .3% annually versus 2%+ with an advisor. That 2% is a LOT of money once you have substantial investments. BTW, I mean “total” costs as-in not just the platform or advisor fee but also any fund/ETF/trade/etc fees. I use PersonalCapital and am a fan of it. Some of Rick’s arguments do resonate with me, for example, tax situation or special situation in your family, etc. Where a human advisor would definitely make more sense. 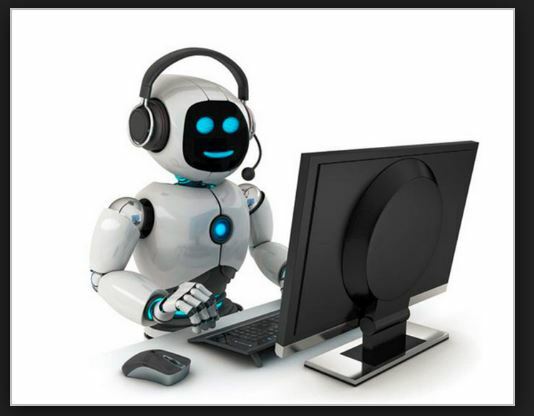 I’m surprised to learn the investment industry has automated to such an extent that robo-advisers exist! And for me, I think the biggest issue is that of trust, even if robo-advisors somehow do manage to beat the market. Another thing to understand is that investors should never blindly trust their own brokers (unless they have a great long standing relationship), or a computerized software (because one little glitch can land you in trouble). Right, robots can’t help you if you have one of a kind financial situation. I am a fan of robo advisors since I started using PersonalCapital. But some sudden change in socio-economic landscape or in your family are exceptions where you must go to a human for advise. I can’t wait for Betterment to hit Australian shores! Bring it on! Don’t you have any other tools there? As a financial advisor, I do believe there are some great benefits to the robo advisor platform, especially for the young investor. If your advisor isn’t bringing any value to the table other than investment management, go the robo route. However, working with an advisor that does holistic planning can make a HUGE difference in your financial life. Consider things like navigating student loans, estate planning, protecting your family with life insurance and long-term care, as well as behavioral finance (helping investors make prudent decisions during tough times) and you can see how a holistic financial plan is much more than investing. This is where a financial advisor can add a ton of value to the lives of his/her clients.